On the Grid, Secure and Private. Many dual nationals, meaning those U.S. taxpayers who retain citizenship in another country as well as having U.S. permanent residence (Green Card) status or U.S. citizenship, may be considering surrendering their U.S. status and expatriating as opposed going through the Offshore Voluntary Disclosure process. The reason often offered by dual nationals for wanting to expatriate is centered on a perceived cost/benefit analysis. Expatriation is a bad choice in most cases. Because of recent IRS/Department of Justice enforcement actions against international banks and the adoption of the Foreign Account Tax Compliance Act (FATCA) as part of the Internal Revenue Code (Sections 1471-1474) foreign financial institutions are compelling U.S. resident account holders to provide proof of compliance with foreign account reporting rules, including proof of having filed Reports of Foreign Bank Accounts (FBAR’s) and certification that interest and dividends earned on the foreign accounts have been reported for income tax purposes. Form W-9‘s are also being requested. The extraterritorial reach of the U.S. tax laws is outside expectations for many dual nationals who are now being forced to disclose assets earned or acquired prior to becoming U.S. resident taxpayers and pay income tax on worldwide earnings or estate and gift tax on their foreign assets. For many the law requiring the taxation of worldwide income and worldwide assets is literally a foreign concept. Some dual nationals reject participation in the Offshore Voluntary Disclosure Program (OVDP) because of what they perceive as its horrendous costs. The cost of participation in the program is payment of all income tax, a 20% accuracy related penalty on the tax, interests on the tax and 27.5% of the highest single year account balance and the value of all tax noncompliance assets. Tax noncompliance assets include real property and business interest if income earned from those assets was not reported. Rather than entering the OVDP some dual nationals are considering surrendering their Green Cards or U.S. citizenship and permanently leaving. This could be a big error. First, The taxpayers who enter the OVDP always have the right to “opt out” of the settlement proposal and go through an audit process. In the audit process there are really two issues, first, the income tax issue which may be limited to earned income and dividends not the value to assets. Second, the FBAR penalty is most likely going to be limited to the “non-willful” penalty absent intentional acts of willful non-compliance. The result of entering the OVDP and then “opting out” is retention of U.S. status avoidance of federal criminal prosecution. On the other hand, expatriation requires the payment of what is known as a mark to market exist tax of 15% of the appreciation in value of worldwide assets. This “exit” tax is doe not relieve U.S. taxpayers of FBAR or income tax compliance but is in addition to those compliance obligations. A U.S. taxpayer seeking to expatriate must certify U.S. Income Tax compliance as part of the expatriation process. 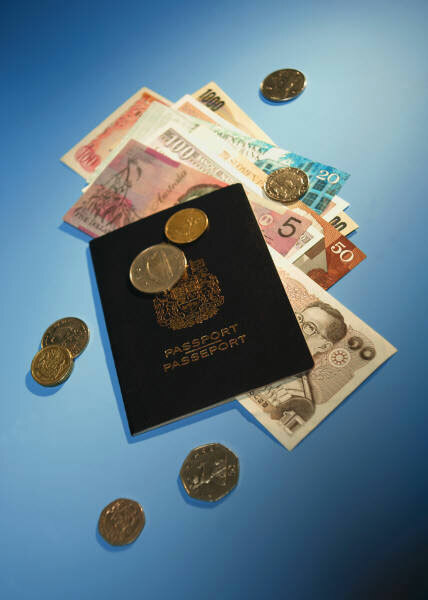 Absent other reasons, giving up the right to U.S. citizenship is not the least expensive or most efficient way of approaching undeclared foreign accounts. Expat Canuck living overseas and loving it. Helping people invest offshore by introducing Recognised, Regulated and Registered Financial Advisers. © 2019 Invest Offshore. All Rights Reserved.